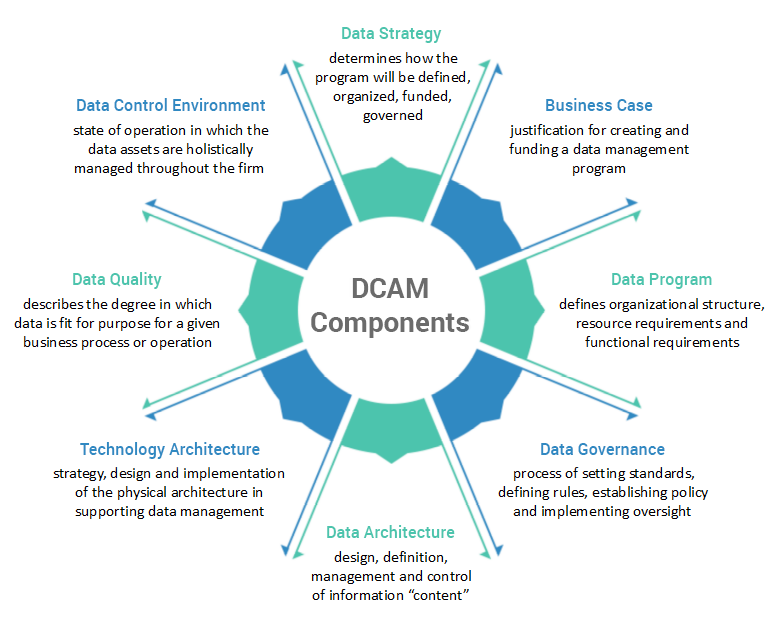 DCAM addresses the capabilities needed to establish the data strategy, position the business case, implement the operating model, ensure funding and support the organizational collaboration necessary to govern the meaning, use and protection of one of a firm's most important assets - its data! Each component of DCAM is made up of a series of required data management capabilities. 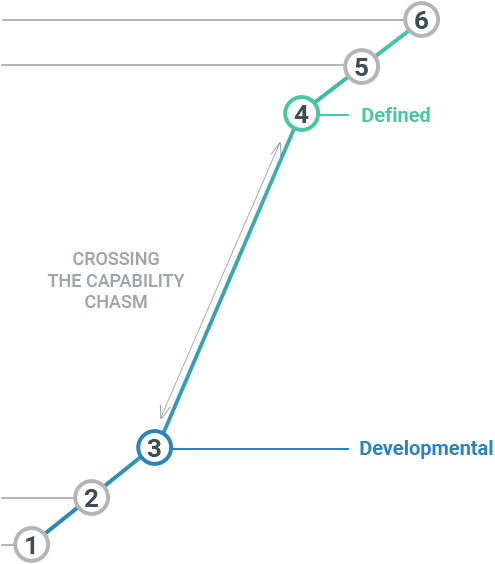 Each capability is then broken down into a series of sub-capabilities. For each sub-capability, DCAM provides descriptions, goals and objectives, challenge questions, artifacts of evidence and criteria for scoring. Evidence: the business artifacts that are necessary to audit against each capability statement. 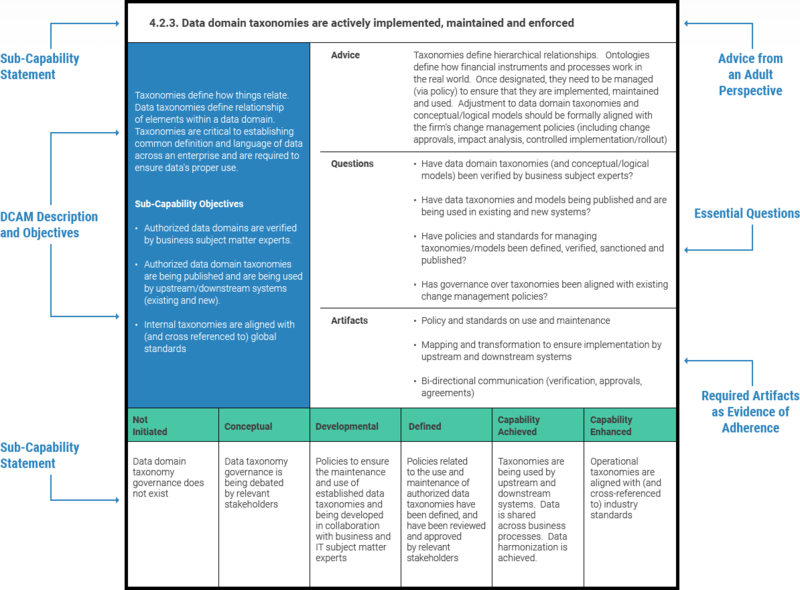 The model is structured to track progression as the organization moves from initial planning through stakeholder verification including both achievement and enforcement of the objectives. The model provides a list of essential audit questions to ensure that the capability is defined, understood, promulgated and implemented. Scores of 3.7 and above indicate outstanding progress toward achievement. Scores of 3.4 and below indicate a significant amount of work remaining before achievement.